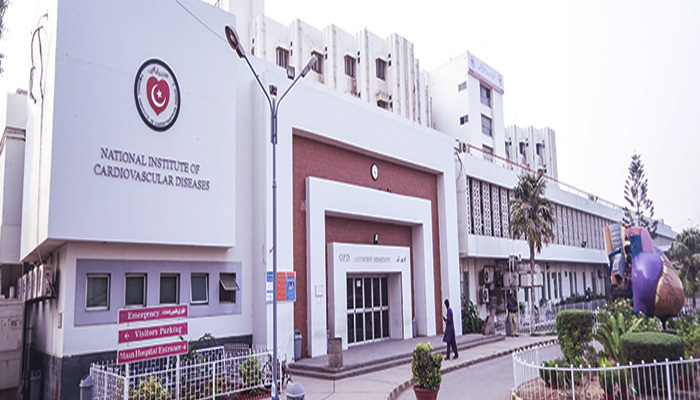 KARACHI: National Institute of Cardiovascular Diseases (NICVD) Spokesman Nasir Bhutto on Tuesday rejected rumours of privatization, stressing the hospital will continue to function as a government entity. “The Sindh Government as well as the executive director of the institute strongly rejected and clarified such news which is based on false assumptions,” the spokesman assured. “The NICVD, under the leadership of its executive director Prof Dr Nadeem Qamar, has performed extraordinarily within a short span of time. It included free OPDs to major heart surgeries, the establishment of eight Satellite Centers in the province within one year, seven Chest Pain Units in Karachi, adoption of latest TAVI method of treatment and artificial heart installation in the country,” He added. “We are striving hard to ensure the provision of the best heart facilities to people of the province at their doorstep,” he added. “Some anti-social elements who do not want to see this [NICVD] as the best institute have started negative campaigns against the hospital, however, the management of the hospital resolves to continue hard work to serve the poor people of the province as well the country”, the spokesman concluded.